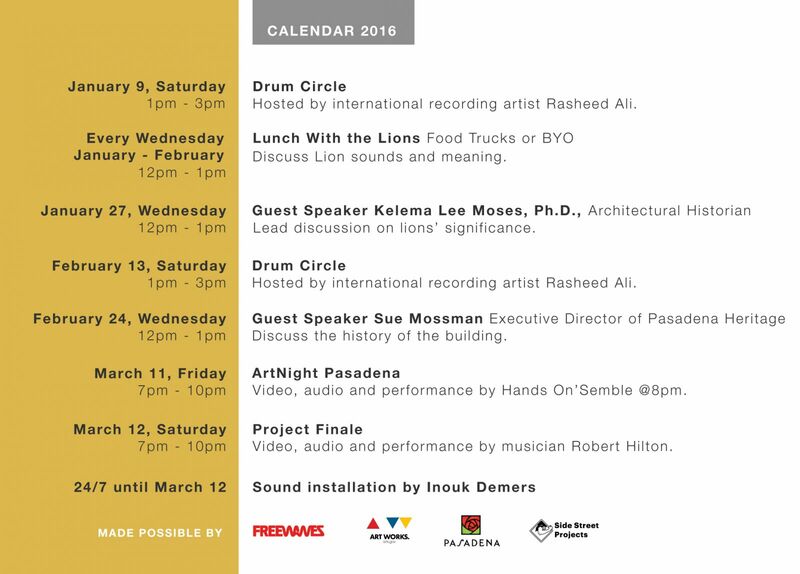 Join us this Wednesday, January 27, as Kelema Lee Moses, Ph.D., Architectural Historian, leads a discussion on the lions’ significance at Pasadena City Hall. We will meet on the north side of the City Hall courtyard at 12pm sharp and begin a walking tour. 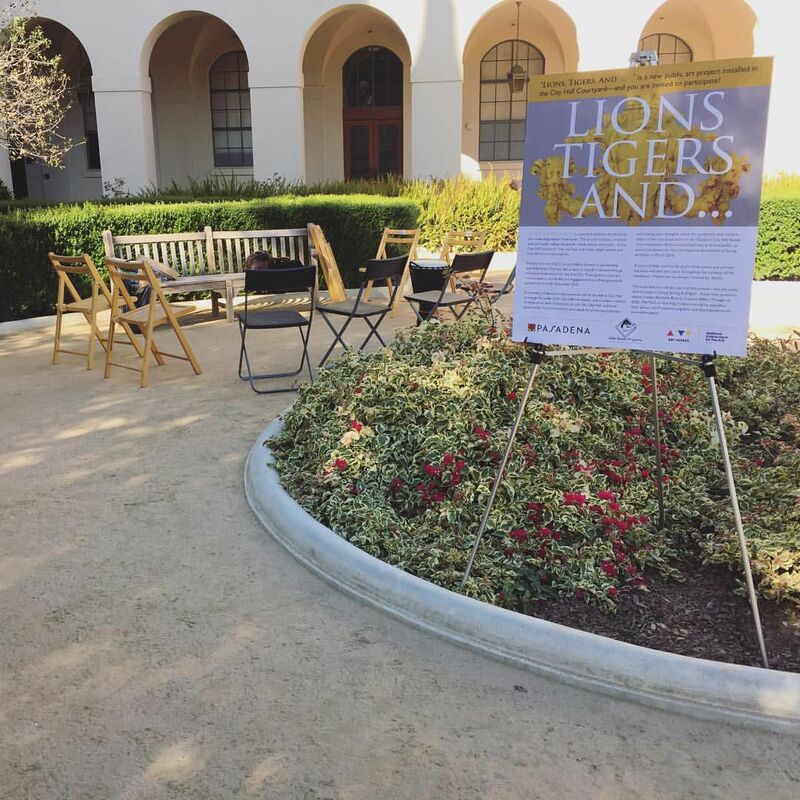 We had a very busy year and we are welcoming 2016 with a full calendar of events for Lions, Tigers, And… at Pasadena City Hall. 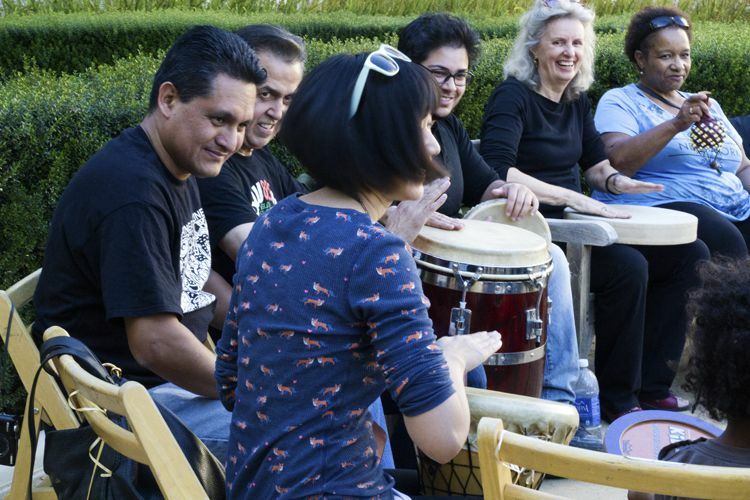 A full range of activities including drum circles, community lunches, guest speakers, video projections, and more. For more information- go to freewaves.org/lions and keep up with us on Facebook.com/Freewaves for event invites and more. What a better way to kickstart 2016 than by joining us THIS SATURDAY for our second DRUM ROAR! Our first one was amazing and we would love to have you for more. This is the first of many ‪events for this year so don’t miss it! Copyright 2018 Freewaves. All rights reserved.